Why should one bother getting a gun belt with steel insert? After all, there are plenty of thick straps of leather or nylon web out there; a steel insert is just an excuse to get more money. Except that it isn't a gimmick. A reinforced gun belt is a foundation for a secure carry, if one is going to carry a pistol on a day-to-day basis. Here are three reasons to consider springing for a steel insert. A gun belt is different from a regular belt because it has to be stronger; a reinforced belt is how maximum rigidity and hold are achieved. The greater capacity a gun belt has to hold once it's secured to the wearer, the more secure and stable it will be when it is being worn, along with a holster and pistol. A person who carries a gun has the responsibility to ensure that the firearm is secure. When carrying or otherwise handling a gun, gun safety is entirely the carrier or handler's responsibility. Part of gun safety is ensuring that the person carrying or handling the firearm is in control of the firearm. Therefore, if a person is going to carry, it is their responsibility to do so in a safe and secure manner. For that to happen, a pistol and holster have to be held in place. Since most people who carry every day do so on the beltline, the beltline has to hold. That requires a stronger belt than you can get in stores. It can also take more than just a thick strap of leather. The larger a gun one carries, the more retention force is required to securely hold. Many of the most popular pistols for every day carrying introduce more weight onto the beltline, especially when paired with a holster, than a merely thicker belt may be able to handle. A reinforced belt, however, has a greater carrying capacity due to the additional rigidity and thus will be up to the task. Another reason the daily carrier should seriously consider a steel core belt is that it will be able to hold better...and it will also last. What would be the point of buying a product specifically because it's stronger than the alternative while still knowing that it will only fail and need to be replaced? A steel core belt can last longer than a non-reinforced belt. This is especially true for leather products. Leather stays strong for a very long time, certainly, but it loses a certain amount of rigidity early on in its life - this is what is referred to as "breaking in." This process results in a softening of leather in areas where it "wears," or in other words, where stress occurs. 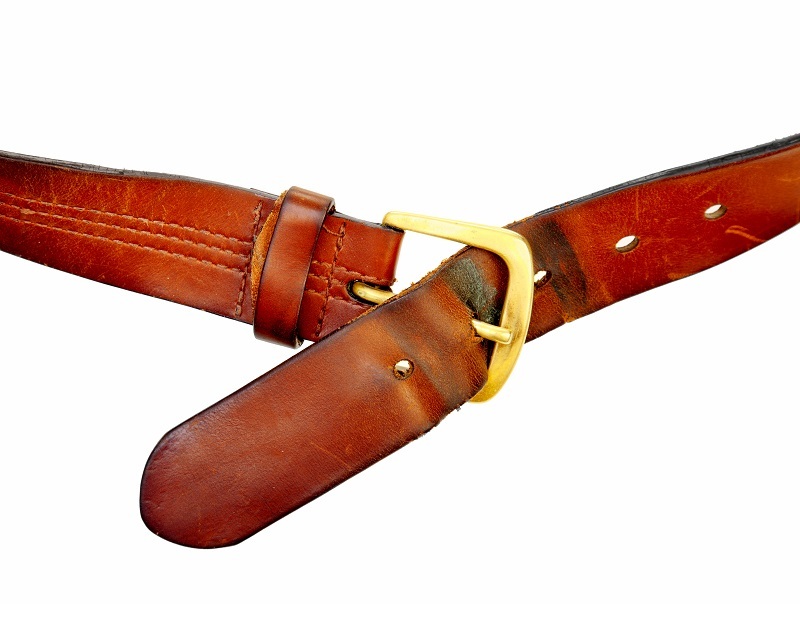 In a leather belt, the areas that bear the most weight will "break in" first. A gun belt will "break" where the pistol is located. This results in softer-feeling material and ultimately in the beginning of sagging and warping, as the belt is stretched by wearing the gun and holster. This phenomenon is sometimes referred to as "gun sag." Gun sag occurs when a belt holds up more than it can hold and retain its structural rigidity. 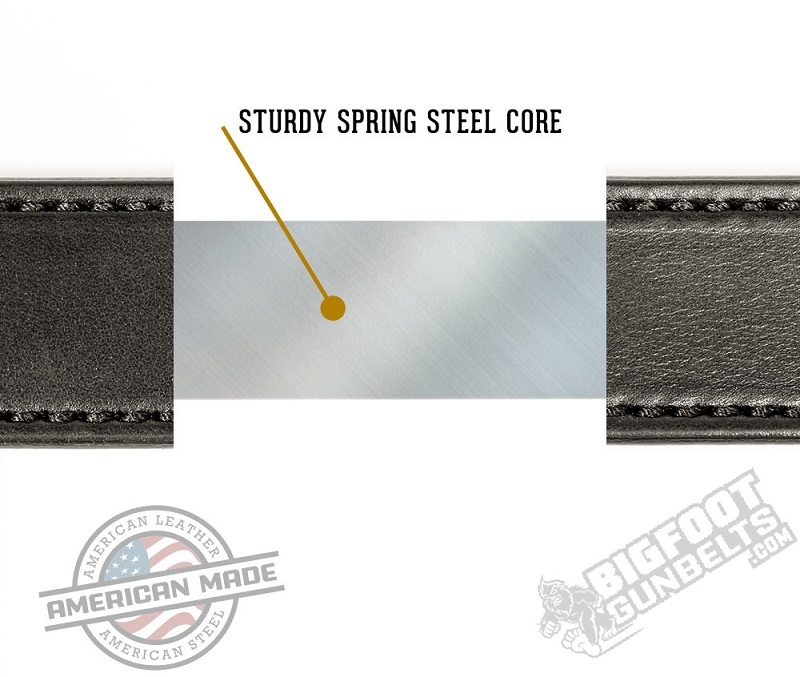 A steel core belt adds an additional layer of strong material. This increases the capacity of a belt to hold beyond the "break in" process and indeed, for years beyond the normal life of a belt. There are a number of reasons why a person who is licensed and wants to carry every day does not do so. Practicality can be part of it; not everyone's work situation is conducive to carrying a pistol. Some don't carry because they feel no need to most of the time and therefore don't. Others don't carry every day because their carrying equipment is uncomfortable. Others aren't confident in their ability to carry safely. If a person doesn't feel like the gun is secure when they carry it, they aren't likely going to carry it. 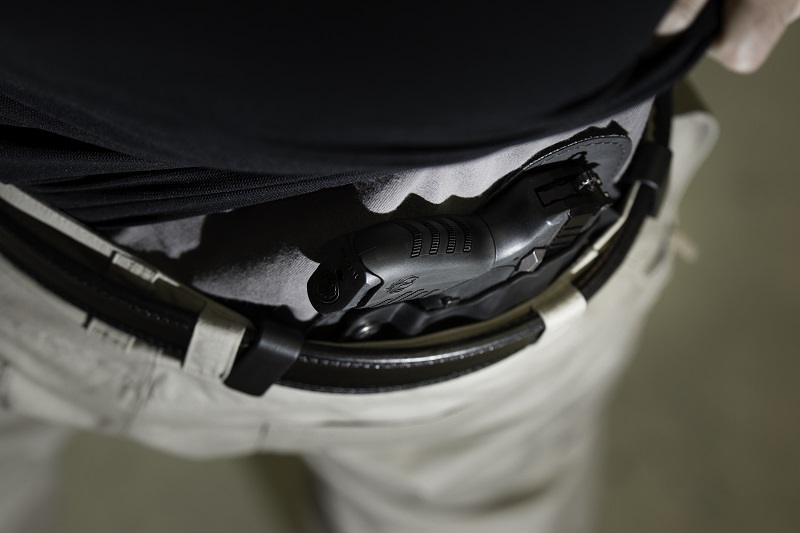 The two components of a secure carry set up are a good quality holster and a strong gun belt. A holster holds the pistol, and the belt holds them both. Comfort is another aspect. 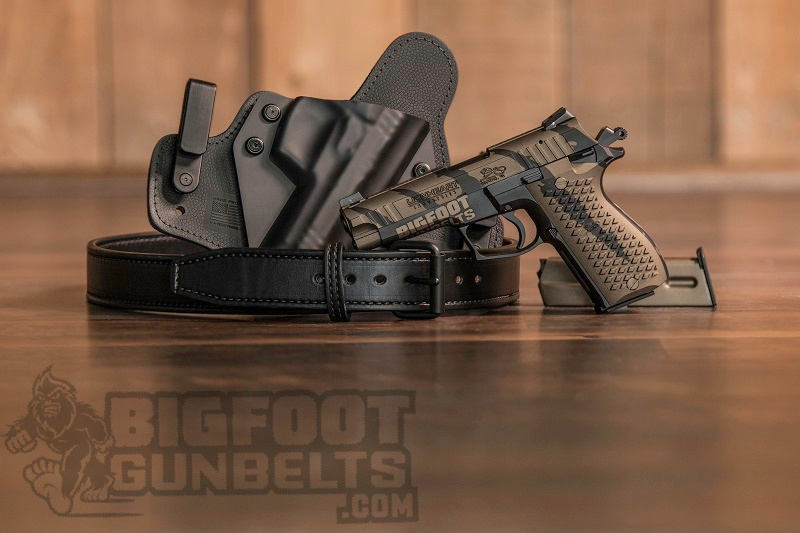 A good gun belt should be comfortable as well as strong, as should a good holster. If uncomfortable or not confident in carrying with the equipment one has, one is going to find excuses not to carry. What's the point of having a pistol and a concealed carry permit unless you're going to carry?